Transfer your balances to the Chase Slate® Card and get 0% intro APR For 15 Months and pay no balance transfer fee if done within 60 days of account opening. You won’t pay any more interest until 2018, and all your money will go towards paying down the balance principal. You can literally borrow money for free and pay it back in 15 months with no interest (keeping in mind you’ll still need to satisfy the minimum payment each month until then). $0 annual fee. None on transfers made within 60 days of account opening. All other transfers: Either $5 or 5% of the amount of each transfer, whichever is greater. Make sure you initiate that balance transfer within the first 60 days. 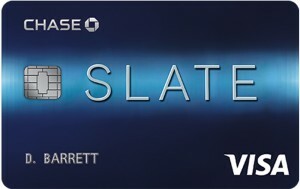 According to the WSJ, so far this is only available on the Slate and not other Chase-issued credit cards. This is because the Slate is by far Chase’s most popular card for those transferring existing balances and that means many of those 10 million cardholders care about their interest rates and credit scores. Lower your interest on balances! This is a great opportunity for those people with good to excellent credit but are still working hard to lower their debt payments, as now you can have all your money applied directly into cutting down your principal instead of having it go towards interest and/or fees. The 0% APR applies to new purchases as well, so your balance owed will go down that much faster and you won’t have to worry about interest until well into 2019. I borrowed thousands of dollars and made hundreds in interest using this method back when CDs were paying 4% to 5%. But now except for the I-bond deal, I’m not sure it’s worth the hassle unless you just really enjoy this kind of stuff. I see that most, if not all of these “comments” are meant to help, or in some cases in an attempt to appear as some sort of guru with the knowledge of an insider (a boastful, or braggart type), but even if the later is the catalyst for people to start typing, help can still be gleaned. In any event, most here do not see that these things are similar to Clark Howard “explaining” that it is best to pay extra on a monthly mortgage, or to pay off a car early by adding in funds on top of principal each month to cut off money that goes only to profitable interest for the bank, or to get the term of the loan lowered by paying it yourself early. 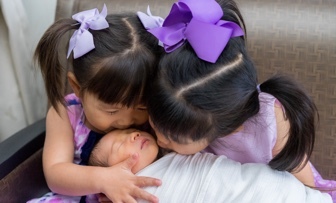 This is all fine and good, but it is also something that almost all would do if they could. Even if one knew nothing of finance, it would seem that paying early is a sort of common sense. The point? No one really needs all of this advice unless they ask specifically. Otherwise, money tips are generally only useful for people with EXTRA MONEY. Those with a ton of disposable cash usually have a good program in place. For the 1-5% of those who are looking for a financial planner then these things help, other than that, almost none of the information here is helpful at all. Not one bit. Most who come here are low on cash, credit, or income, and they come to seek advice for deferring or on what they may be able to do with a major restriction their assets and buying power. If you look closely at the replies and comments, Most others are simply talking back and fourth to each other about what they would do if in situation “x”, and about what they would do if they owed “x” to “y”, but they do it by calculating with approximations and estimates based in no small part on the amount of money that they have or the income they are making. Obviously I am not writing of those who have cash set aside or are dealing with new and varied income that which they have come to ask questions about so they can plot their best course of action for future financial sustainability and return (these types seem to be a very small minority in this and other forums of the same topic, however). Those in need, debt, or suffering a lack of income will get no benefit from T-Bills, stock “x”, or other tips that seem to imply that all would be well if they would only “get responsible” and pay of bill 1,2, and 3 in “this amount”, in “this order.” If someone is starving, Gordon Ramsay’s recipes will be of no use. A lot of advice is polite, and even when it is for self pronouncement, it can be useful, but it does no good when the root cause of the problem is a no funds, or a severe cut in funds to work with. I do not see how so many can be so oblivious to theses truths. (Also, I meant no ill-will to you or anyone else specifically. Your name was first on the comment chart so I clicked there to “reply”.) Have a nice day. Here I was just making a plan to wrap up the last of my outstanding balance transfers and you go tempting me with this!?! The article above states “Another good option is U.S. Savings Bonds. Series I bonds bought right now will earn 3.60% for the first six months, and then an unknown rate based on ongoing inflation after that.” With the 3.60% linked to the earlier article on Series I savings bonds. However, that article explains that the rate (beginning in November) will be 3.06% for the first 6 months, not 3.60%. Chase gets none of my business. Heavy-handed, impersonal, arrogant bank. Consumer credit union has been noted to be bait and switch on Fatwallet. I-bonds are a good bet, but you have to consider the minimum 12-month holding period. How will you get your money into treasury direct and out in time to pay back without owing interest on the 13th month? Combine that with the fact that you will be only earning interest for 9 months, you’re looking at a lot of hassle to get the timing right. If you have a stash of money and are just using the App-o-rama as a safety cushion while you tuck your “real money” into various safe, opportunistic vehicles, then that is another story. Hey everyone, I have been a CCU account holder for over a year, and I wanted to share 2 resources I created help anyone who decides to open an account meet the 12 debit card transactions and bill pay requirement for CCU rewards checking. Of course, you can also just buy 12 cups of coffee or use your debit card regularly, but I always use credit cards for purchases so I can earn points. The PayPal strategy can be especially helpful if you are traveling internationally in a place where credit cards are rarely accepted. Hope you found the video tutorials useful. For anyone that travels abroad, the ONLY accounts that you should be using are Capital One. No foreign transaction fees for ATM transactions on your checking account and no foreign transaction fees for credit card purchases. Plus the cash back you get from credit card purchases normally get anyways. It’s that simple. I used to play “games” with other banks, but seriously, there is no point. Capital One wins every single time. @Scott, I disagree. The Barclay Arrival+ card is a solid card with no foreign transaction fees and a better return that Capital One’s competing card. They are both very similar, and after working with both of them I would steer towards Barclay. They are also easier to get approvals with and increases in credit limit. This comment is only related to your comment about credit cards. @Paul, the Barclay Arrival+ card has a $89 annual fee (waived first year only). My Capital One Quicksilver card has no annual fee and 1.5% cash back. So unless the extra 0.5% cash/miles/points back that you’re getting with the Arrival+ card can offset the annual fee (which from my math requires at least $17,800 spent annually on the card), then Capital One still comes out ahead. Plus I get cash, not miles/points. No Hassle with Capital One – I’m a believer (in case you couldn’t tell). @Scott, I was actually thinking you were talking about the Capital One Venture card, which is almost an equal competitor. In this case, there are two other points that need to be considered. The Barclay card is actually earning at 2.2%, which means it has the Quicksilver by .7% not .5%. Also, it comes with 40k poins to start, assuming you can meet the very simple promotional requirements. That promotional amount easily knocks out the first 4-5 years of annual fee, which also knocks out your comment about the ~$17k spend. I believe the Quicksilver comes with a $100 promotion, so it really comes down to your MS abilities and credit score. Lastly, you can downgrade the Arrival if you want to maximize your first year and then graduate to another card for the latest promotional offer. This lowers its earning power, but it also alleviates the annual fee and does not require you to cancel the account. Maybe then the Quicksilver can compete, but it is still an opportunity cost waste. Personally, I will continue to pass on the Cap One Quicksilver for the simple fact that there are better international cards and I keep my daily spending on my newest promotional opportunity (currently the Chase Ink business plus for 60k), which will always beat 1.5% cash back. Thank you for bringing the Slate credit card to my attention. I tried to do a transfer from Discover to Discover but unlike the person from previous transfer post I was told that they don’t allow that. And although I didn’t want to pay 3% for the Citi offer, I was about to apply, but then I noticed your newest post. Needless to say although I’m not a big fan of Chase I rather not pay the 3% or even $5 if I don’t have too. I already had Chase Freedom and Sapphire when I applied for Slate a month ago. When I got the Slate card in the mail, my credit line was $7k. When I called to activate, the CSR was able to move my credit line from Freedom and Sapphire (I left $5k in Freedom and $500 in Sapphire) and increased my Slate credit line to $32k. Heee. I then transferred $20k from Citicard with no balance transfer fee (if done within 30 days of account opening) and got 0% APY for 12 months. I have the money to pay in full in my Rewards Checking Account (which earns 3.01% interest), but I prefer to earn that interest and pay in full before the deadline. It works for me. I net hundreds of dollars in the end. Hi, i applied for this credit card but chase would not let me transfer money to my bank account neither they would offer me checks. i did not try moving the balance to another credit card since i wanted to take atleast 30K out. I would love to see some success stories in terms of how did ppl take money from this offer. Umair, I have never found a way to get money from Chase by having them deposit directly into my bank account. I don’t remember getting any checks from them. I know that my Citicards offer these options. Read the fine print for your Slate card. Mine requires the balance transfer to be done within 30 days of account opening. When I activated my card by phone, I asked the CSR for the date of my account opening and wrote it down. After 30 days, Slate charges 3% BT fee. Another thing: Slate does not offer any cashback rebate, so I don’t want to use for purchases. Within the 30 days, I used my Citicards, which offer 1% to 5% cashback, to prepay expenses (health insurance premiums, car insurance, utilities, etc. ), then transferred the balance to the Slate card. I also transferred existing balances from other credit cards whose 0% APY promos were about to end If you time the 0% offers and if you have excellent credit, you can continue 0% APY indefinitely. I keep the amount necessary to pay in full in my Rewards Checking Account just in case. Has anyone had any luck using zero % APR and/or balance transfers to pay off student debt? My fiancee is carrying a bunch, and paying it off diligently, but if we could put even an extra 5k into the debt straight away it would save us three hundred some odd dollars in the first year. I see the portion of the post where getting a “cash advance” is discussed, but would love some more info on the actual mechanics. Unless you can pay it all of in the 12 to 15 months, it’s probably a horrible idea. Once the standard APR kicks in, you’ll want the card to have a 0 balance. Otherwise you’ll be paying an even higher interest rate. Jon, Others – I’m a new to this, so please advise me. I’m thinking of transferring $10K of balance and invest elsewhere to make some money over next 15 months. We are also thinking of buying our first house sometime in 2013. I’m wondering if having this outstanding balance of $10K even if it is at 0% for a year, would have negative impact on my credit score? Please advise if I should stay away from this offer if I’ll be shopping for mortgage a year from now. @umair – What I would do is transfer whatever I could to a Citi card that I am already using for whatever purchases possible, like Newlyfrugal did, but transfer even more and create a negative balance on my Citi card (so they owe you money). It’s best to use a Citi card that you are already using for various purchases as to not make them worry you’re doing something shady (which you’re not, this is legiti balance transfer which you’ll pay back). Then, there will be an option online in Citi website to refund credit balance, which will send you the excess via check. Now you have cash and balance owed to Chase at 0% with no fee. @washerdreyer – I have heard of many people do this. You may be able to balance transfer directly into your student loan account by providing Chase with the account number, but I am not sure. Otherwise you’ll have to do the credit balance refund mentioned above. @Nik – If you use 100% of available credit line (10k of 10k) there will be an negative effect on your credit. Even taking only 75% or 60% will make the effect much less. However, I can’t predict how much it will drop. If you have old accounts and lots of them, the effect will be much smaller than if you have only one young account. As soon as you pay off most of the balance and only less than 50% utilization ratio is shown on your credit report, your score will bounce back. So as long as you pay it off a month or two before you shop for mortgages, it won’t have any effect. I hope all these factors help you make a decision. Anyone who already has a chase ink card able to apply for a new second ink card to get this offer. I have an existing 0% APR BT offer for my existing Chase Ink, but it comes with a 2% fee. Publishing an “expense reduction guide” will be greatly appreciated! If you transfer the balance to a card with a balance of $0, then get that company to send you a check (call and say you over paid and would like a check for the credit amount) you can use the money for whatever you want to use it for. Just make sure you pay it back before the promotional rate jumps to the standard rate. Ok, so I’m wasting time replying to posts from 2012. Geez. I see that we can still apply for this deal. Any idea when this offer will expire and we can no longer sign up? I think Chase is “on to me” trying to use this for the free BT money… maybe because I previously maxed out a Chase Amazon card with a 0% APR/1% fee BT offer. I have several of their credit cards and have never had any problems getting a new Chase card, but they’ve shot me down both times I’ve applied for the Slate card. Hmmm… anyone else have trouble getting approved for this offer? Dan, I was approved for this in June, less than a month after paying off an 18k BT from another Chase card on a similar offer. But they may be reluctant to issue you a new card if they feel they’ve extended too large a credit line to you already. They issued me a Slate card with a 7k limit but reduced the limit on one of my other cards by 12.5. If you contact them and ask them about the rejection, perhaps you could negotiate with them along these lines. Can I apply for this slate card and use the BT offer to pay off balance on some one else’s credit card? The only “update” I see is that now you have 60 days instead of 30 to transfer a balance. Can I apply for a second slate card? I already have one and have a 0% balance transfer on it. My credit utilization is well below 50%. Does any one have any experience do this? These card offers are the best to get! You use it and then pay it off just before the introductory rate increases and then use it sparingly after that. It helps your credit and if you stop using it, you cancel it and then cut it up. Sweet. Need to do some work on a rental property so this way I can give myself a 15k 0% loan. Jonathan, I was wondering if you know of any free ATM networks out there that could be used to take some cash out of an AMEX Serve card? @KD – I know that I’ve had multiple Chase cards in the past, but I’m afraid I don’t know for sure about having more than one Slate card. @Harish – No, the fee-free ATMs that I have seen are never part of any wide network. Just lone ATMs, sometimes at credit unions. Hi, I applied for the slate in Feb and called the CSR for the BO with no fee today. She tells me that there is cap of $15000 for BO and since this is a new account, she can only do a Balance Transfer and CANNOT issue a check or do a deposit to my Bank Account. That was a disappointment. Anyone faced something similar or have a workaround? @ Gayatri — I have this card, and have done other 0% offers in the past. (I’m not sure what “BO” means in your message, but will try to answer your question.) #1) The cap is usually just the amount of the credit limit you are approved for on the card. You can ask for a higher limit. #2) They will not issue you a check, but you can still easily get cash for the balance transfer. The typical way this is done is to request a balance transfer for (in your case) $15,000 to another credit card where you only have a bill of say $100. Then you call up the other credit card and say “I overpaid my bill by $14,900 and want a check issued back to me for the amount of the over-payment.” That is how I always take advantage of these 0% offers. Steven, Thanks for your prompt clarification. I composed a response that day and my computer froze and I forgot about composing after. I will try your method to accomplish the Balance transfer to another credit card and get the check from the 2nd card. I got a limit of 33k (15k+consolidation from other cards) but the CSR says there is a cap of 15k on the Balance Transfer offer. 🙁 Still happy to avail the offer for the Zero transfer fee. Got a Slate approved today for $35k total. Had to trade my balance from Freedom; done. Problem now is that the CSR mentioned a 15k limit on balance transfers at one go. I would like to pay off a mortgage and bring down my effective interest rate… 35k is what I would like to avail of, or as much of the 35k limit I have with Slate. Any precedents on how this has been done already? Many thanks. Stephen, Great sugesstion. I had in my mind to do. you experiance makes brighter, I have started today. how long i have to wait to get in my BOA CC. and then how many days i have to wait to get negative balance. I was thinking of a way to use this now that interest rates are so low. Not sure if I’m missing something, but could you use it to “prepay” your extra mortgage payments? So, if you pay $500 extra per month on your mortgage, get a balance transfer of $9000 and pay that on your mortgage, then just save the $500 per month and pay off the transfer in 15 months. I guess you could find something paying a small amount of interest to save up the money in as well. I have not done this personally. I’m a renter. However, I’ve never had a problem writing a BT check from Chase to anyone I want. Does anyone have any recent experiences with getting cash from a balance transfer? Reading the comments makes me think it won’t be as easy as asking for a check. What credit card companies are the most friendly with refunding a negative balance via a check/bank transfer? Anyone tried CapitalOne? Chase sends me checks balance transfers. I can write them out to anyone I want. I’ve had no problem writing a check to myself. I’ve done this with three BT checks from Chase. I’m not sure if you will have trouble doing this. I’ve been a Chase customer for banking and credit for 15 years so I may have some history with them that grants me a longer leash. YMMV, but with my CapitalOne Platinum Visa card, they will send a check to myself or anyone I owe money even if I don’t have a positive balance. I have had a No Balance Transfer fee option for as long as I can remember, but it is treated the same as a purchase, so I have to pay it off at the due date of the next statement. I use it to pay off other credit cards and extend the float by up to almost 2 months if timed correctly. I hope this helps people who want to apply for a 2nd card. I love carrying this card. No annual fee. Great BT offers. I use my balance all the time to transfer other balances to the Slate card. Then I pay them off and Chase sends me more BT offers. One thing to consider is there is a real cost to putting high balances on a credit card — These balances will be considered next time you apply for a credit card with a promotional offer or apply for a mortgage while you are carrying this balance. Im not sure its worth it for the fraction of a percent you will earn on this money. What are other people’s use cases for balance transfers nowadays? Other than paying off high interest credit balances? Interest free cash if necessary, but mainly as a bridge credit card to lower APR rates on all open revolving credit accounts. we used it on a solar system. backstory: we had cash to pay off solar sytem. but they said the price was the same cash or card. so we put in a barclay card with o% and double points. then changed our withholdings for the tax credits. at the end we had tons of points and had paid off half at zero percent. along comes the chase transfer. again, can pay at once but instead took the transfer. so monthly we drop x to lower the credit used. with no other credit used and so much available it won’t hurt my 830+ score. eventually it will be paid off for zero percent. where is the downside? wacky neighbor got a loan for his system. wth? that makes no sense to me. we will not pay any interest and got points. win win. and kept cash available for other things. This would be totally worth it if points were accrued through this card, especially on balance transfers. What’s your opinion on using a0% balance transfer, such as this one, to pay down a mortgage? What possible caveats or pitfalls could their be?